We offer wide range of Ultrasonic Sm 20 US. We are specialized in offering a wide range of Specialized in ultrasonic equipments like Ultrasonic cleaners, Ultrasonic Sonicator, accessories, SMPS Power Source’s and Digital timers. 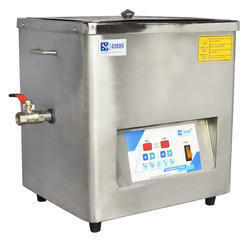 Jewelry Ultrasonic Cleaners is used to clean jewelry in a perfect manner in order to maintain its shine all throughout. We use high-quality raw material which not only adds durability to our products but also makes them corrosion resistant. This one from our side is a remarkable product that is high in terms of performance and low in terms of the monetary quotient. 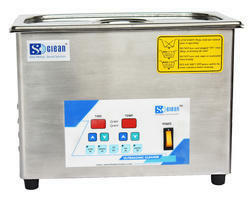 Ultrasonic Cleaners are highly demanded for their excellent performance and low maintenance. With our immense domain expertise, we are involved in offering these cleaners to our valuable clients. This one is designed using supreme class base component and cutting edge technology at par with international standards. Moreover, we offer this machine in different specifications and can also be customized as per the needs of the clients. 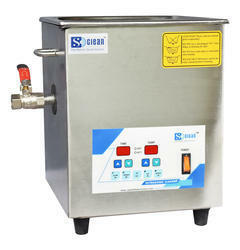 Ultrasonic Cleaning Machine from our side is a remarkable product that is high in terms of performance and low in terms of monetary quotient. These machines are intended with fully solid state microprocessor controlled unit, digital timer and intensity display. We use of high quality raw material which not only adds durability to our products, but also makes them corrosion resistant. Looking for Ultrasonic Cleaners ?